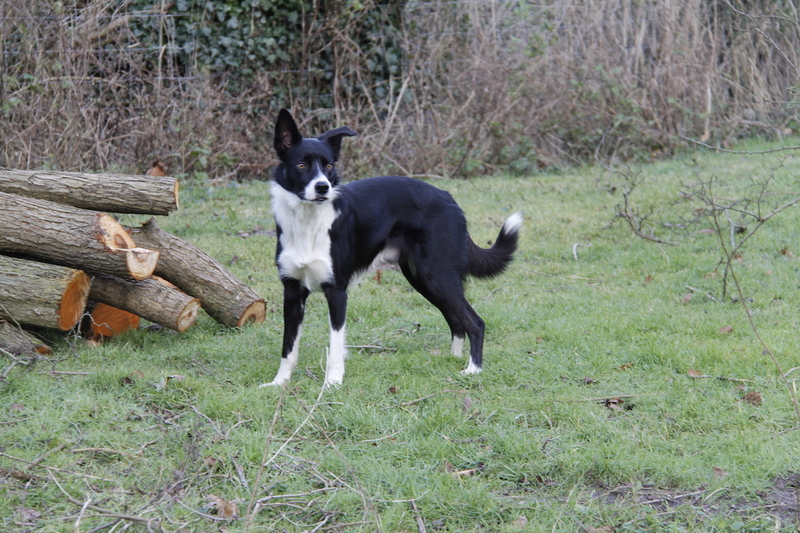 We have – well had – a small copse on the campsite. When I was young I used to play in the copse with my sister and our friends. It seemed like a wood to us, we made dens and humane rabbit traps by digging a small hole in the ground (less than a foot deep), putting twigs on top and covering it with leaves. We obviously forgot that rabbits can jump and dig! We climbed the spindly trees, played games and explored what seemed to us to be such a large, old wood. 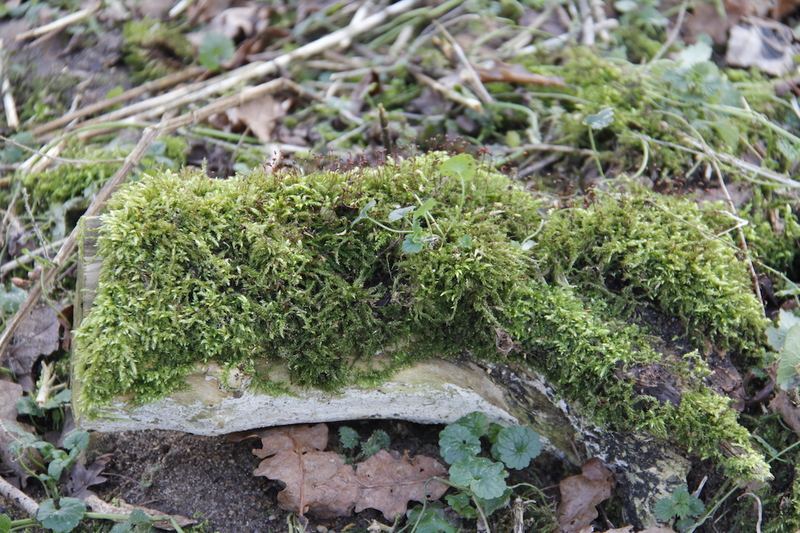 Now I am older, I see that the copse is not so big – quite tiny actually. 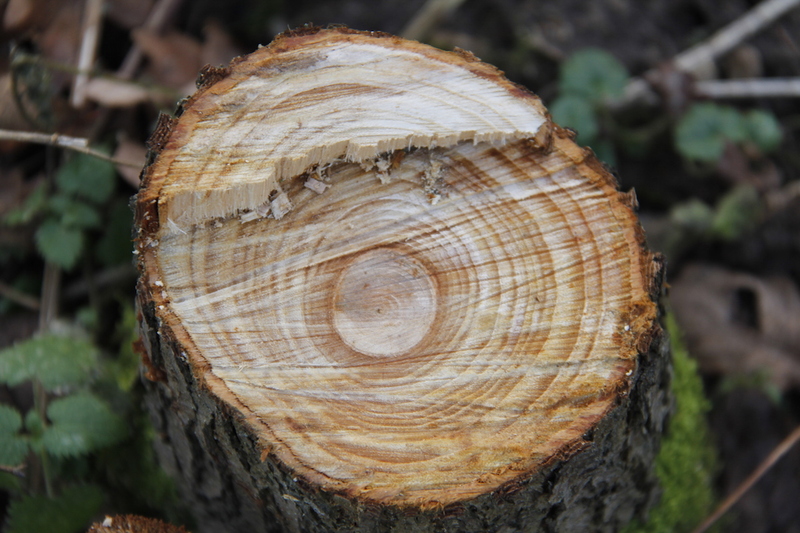 It is/was mainly full of elms that didn’t thrive because of Dutch Elm disease. Over the past few years we have cleared out the dead wood. It is quite a big space and people like to camp there, but the land slopes and it was only ever really suitable for one pitch. 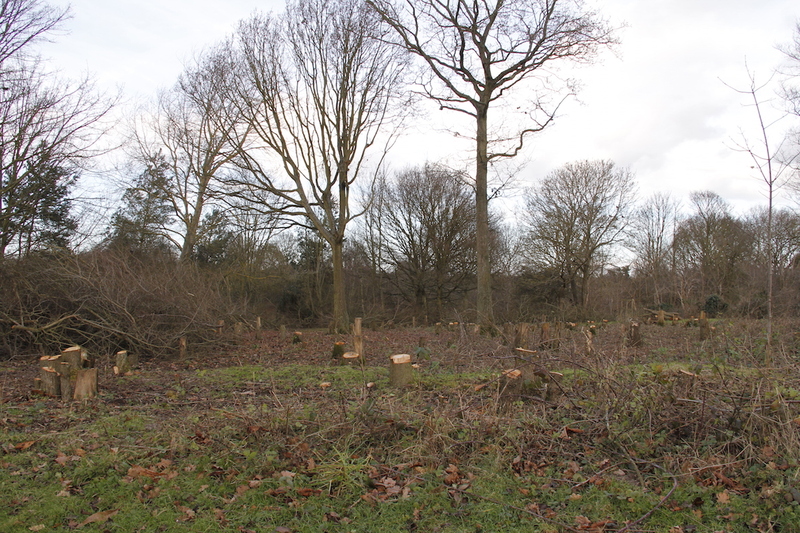 We have talked about clearing it and redesigning it, but it seemed like a big job and the Copse is part of my memories of being here with my mum, dad, sister, grandma and grandad. I remember being about 10 when one February half term we helped make the pond in the back patio that is still there 35 years later. Alison and me pushed wheelbarrows of sand and soil dug out to make the pond down to the copse where we dumped them in a corner. It was an unseasonably warm, sunny day and we just had jeans and our vests on. But maybe it was time to let go a little and to make the Copse part of our life now. So we decided to clear it out ready for a new mini woodland adventure. Of course if I was organised I would have taken before and after photos, but James got on with the job before I could blink, but I will try and be efficient at capturing the changes it will undergo over the next few months. 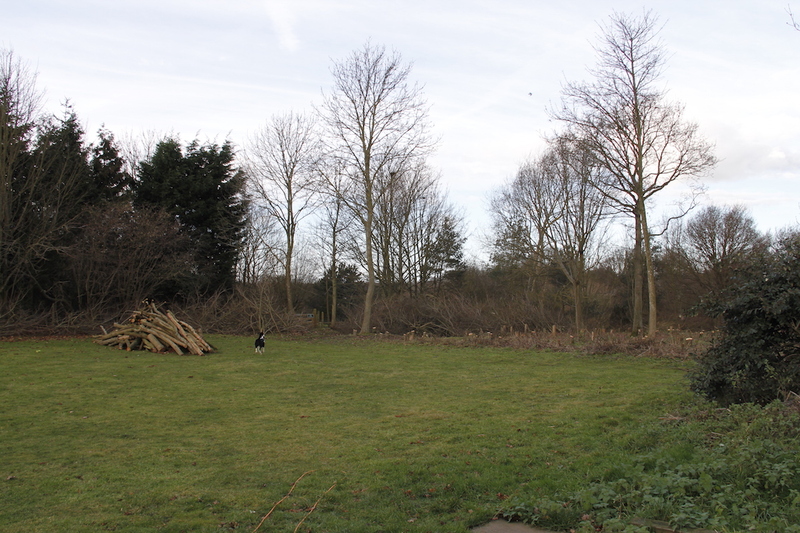 As you can see we have taken out all the spindly elms. James saved the wood we can burn on our stove and then with the help of a friend he burnt the masses and masses of twiggy branches that had piled up. 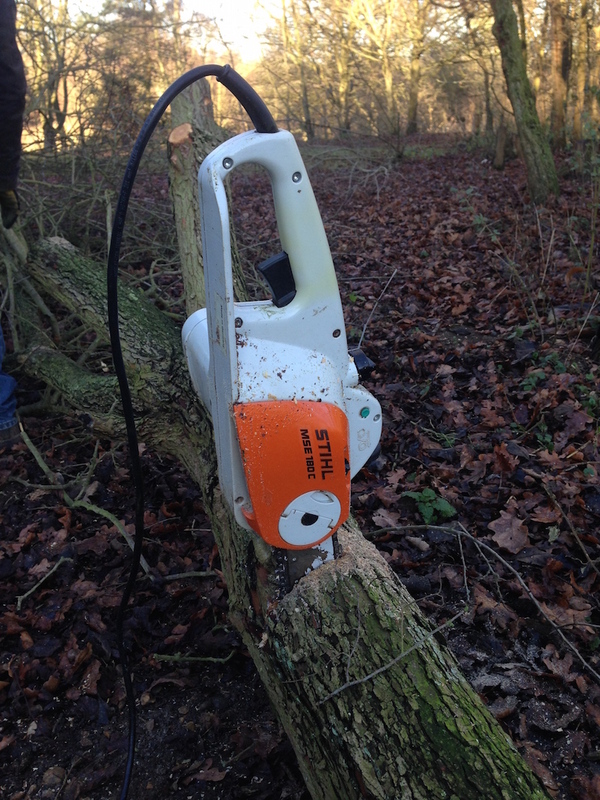 The chain saw might have got stuck at one point, but shhh don’t tell anyone. 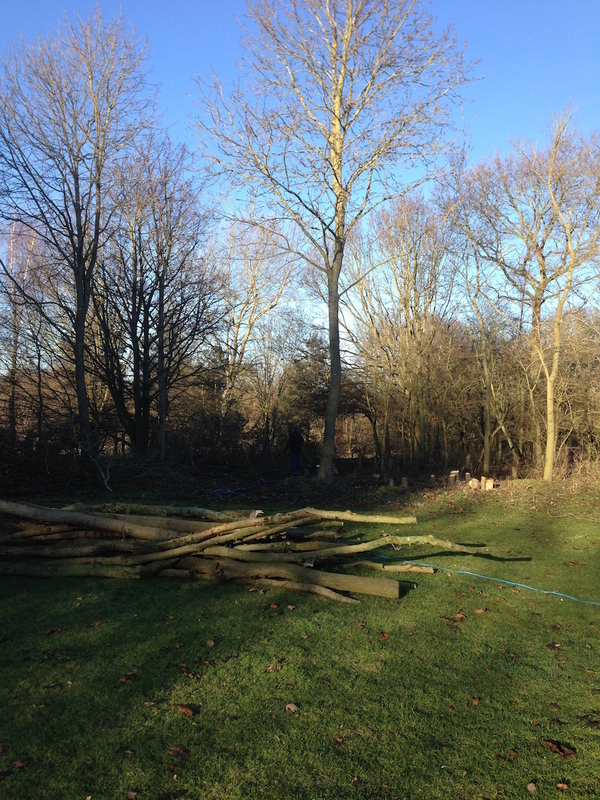 The next job is to have someone dig out the stumps and level the ground. 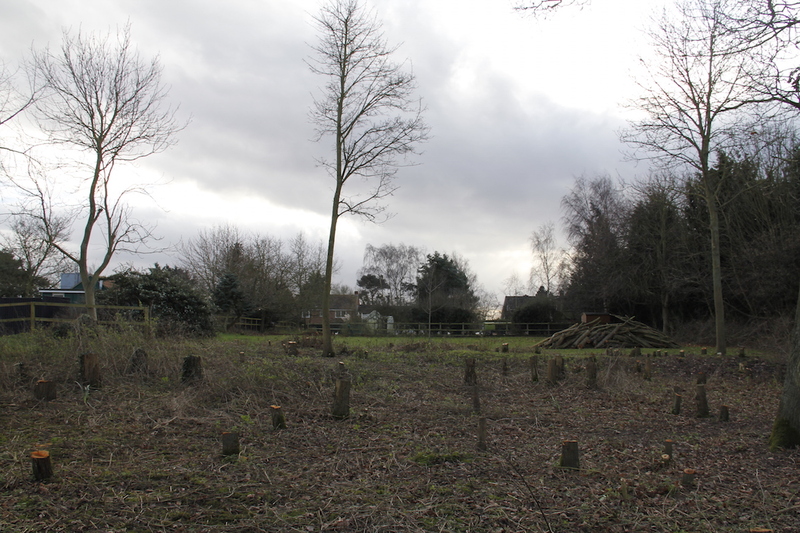 Then we will plant woodland bulbs, ground cover, bushes and some more native trees. We will also sow a little grass. 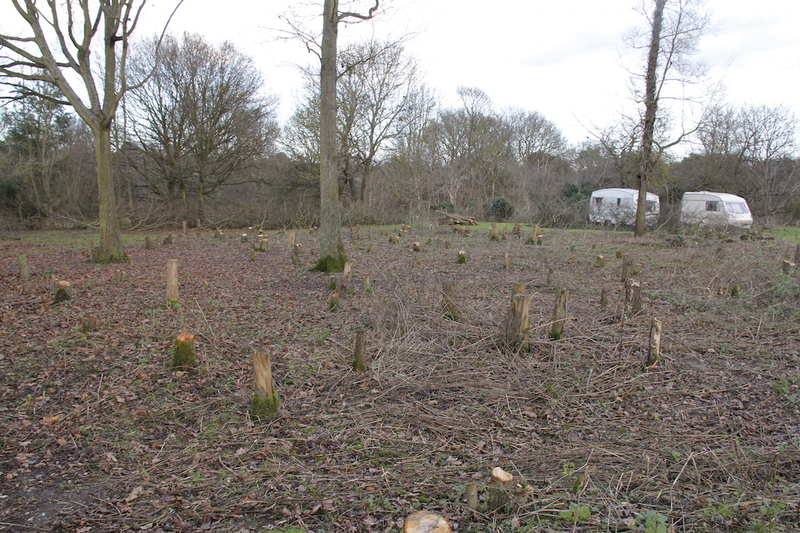 We hope to make three large, secluded woodland pitches for people to stay in. what a great idea! Have James reply to my email on home email about summer help possibilities!! A big but wonderful task for you. I’m sure that your future woodland pitches will be very popular. Thank you Christine – I think in a few years when the planting has had time to settle in it will be lovely.